Since 2004 Gigha has had a grid-connected windfarm. Indeed, we were the first community-owned grid-connected windfarm in Scotland. We purchased three second-hand VESTAS V27 turbines from a wind farm in Cumbria, shipped them to Gigha and installed them at the westerly facing southern slopes. This spot had been chosen for its uninterrupted exposure to the predominant sou-westerlies that flow over Gigha. Since they have been in operation, the Dancing Ladies, as they are known locally, have provided significant income to the Trust and allowed the island to prosper. 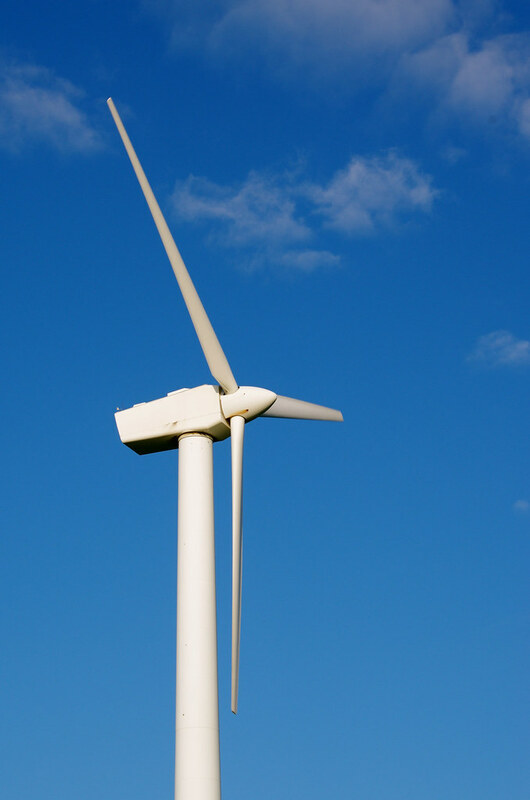 In 2011 the community decided to add another turbine to the windfarm, a new one this time, to take advantage of a grid connection that was available. Grid connections – effectively the licence that allows a generator to put power into the national grid – can be hard to come by in rural locations, so with the availability, we purchased a brand new Enercon E33. We needed to strengthen the infrastructure on the island – 3km of underground cable – but we managed it and the E33 started producing power in October 2013. 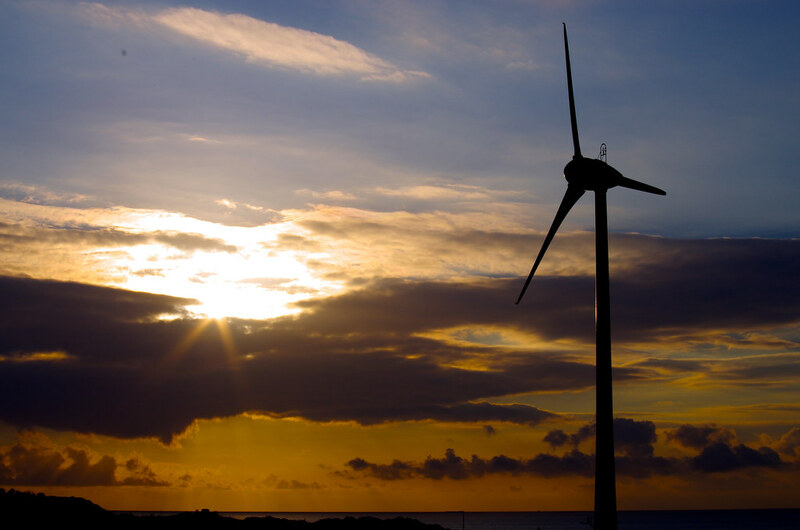 The original V27 windfarm is accredited through the ROC scheme and run locally by a subsidiary of the Isle of Gigha Heritage Trust (IGHT) called Gigha Renewable Energy Limited (GREL). Every year, any profits generated by GREL are voted up to the Trust which then uses these funds to maintain and improve Gigha. The E33 is accredited through the FIT scheme, the replacement for the ROC scheme and as such must be administered by a separate company – Gigha Green Power Limited (GGPL). GGPL votes up its profits in the same manner as GREL. Both companies sell all the power produced to Good Energy – a company that only supplies its customers with renewable energy. There are many, many people who devoted a lot of their time and energy into making renewable power happen on Gigha, but two people stand out. 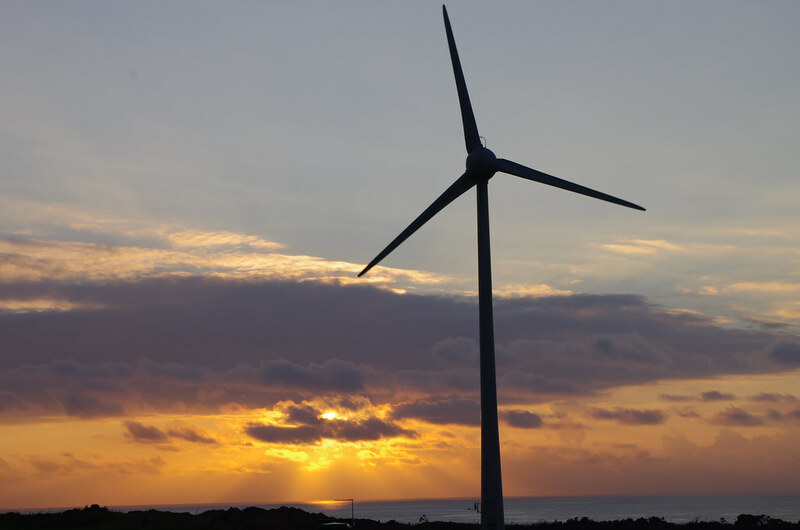 Alan Hobbett was the driving force behind GREL and ensured that the project succeeded, and Colin Anderson has been our consultant on all matters renewable related and a good friend to Gigha over the years.